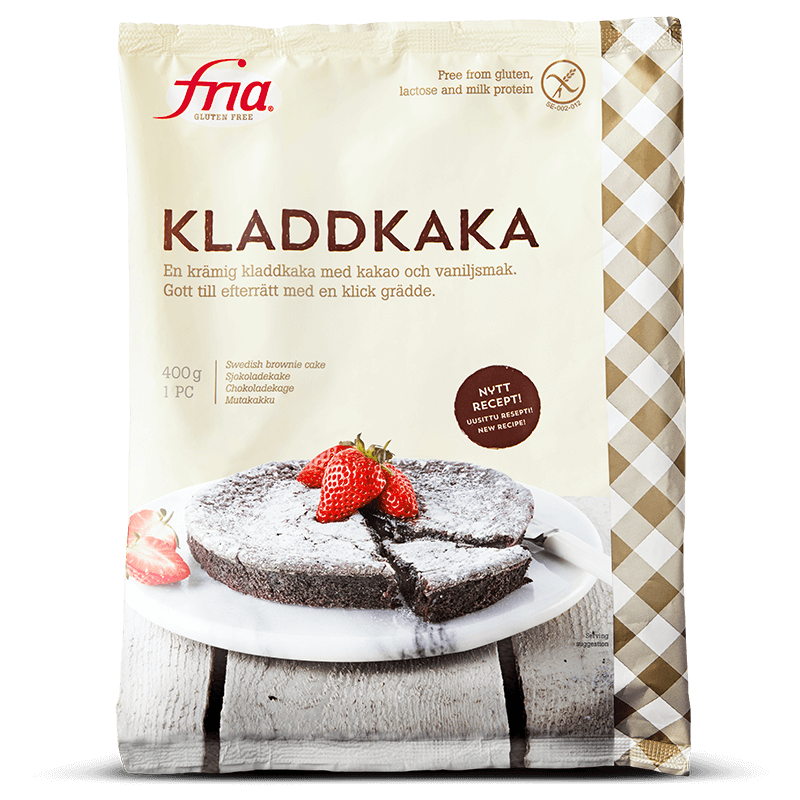 Fria’s gluten-free products should be kept in the freezer. 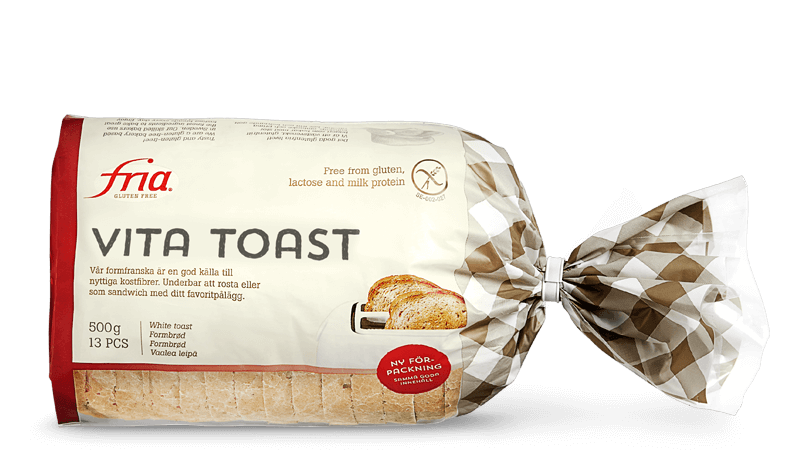 This keeps the bread fresher for longer, and locks in the flavour and texture. For the best thawing results, follow the simple tips below. If you have any questions about our gluten-free products, you’re welcome to contact our customer service team. 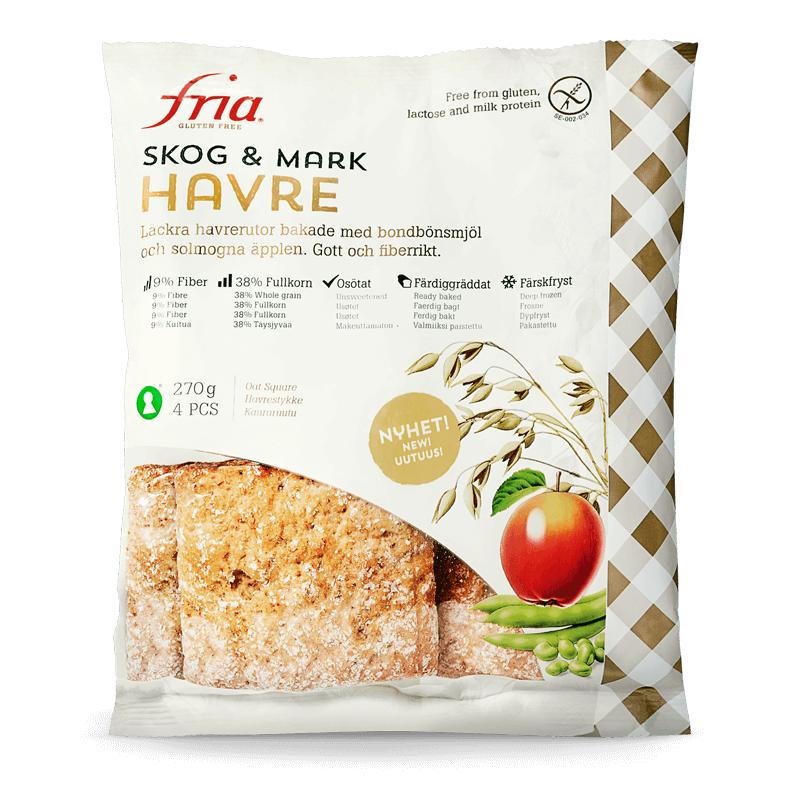 Room temperature (recommended): whole loaf in its packaging for at least 5 hours, individual slices for around 30 minutes. Toast the slices of bread in a regular toaster. Warm the slices in an oven at 200°C for around 2 minutes. Microwave: 2 slices for 30 seconds on low power (up to 750W). May vary with different microwaves, so find the setting that works best for yours. Note that bread thawed in the microwave or toaster should be eaten immediately. Room temperature (recommended): in their packaging for 1 to 3 hours, individual rolls or baguettes on a plate or in a separate bag for around 50 minutes. Toast in a toaster if it fits – e.g. Swedish flatbread. Warm single pieces in the oven at 150°C for around 5 minutes, or on top of the toaster for about 10 minutes. Microwave: Thaw one portion of bread on low power (up to 750W) for 1 to 3 minutes, depending on thickness. May vary with different microwaves, so find the setting that works best for yours. Room temperature (recommended): in their packaging for 1 to 3 hours, individual buns and muffins in a separate bag for around 50 minutes. Warm single buns in the oven at 150°C for around 5 minutes, or on top of the toaster for about 10 minutes. Brownies thaw quickly at room temperature, within no more than an hour. Brownies can even be cut when frozen so you can thaw as much or as little as you want. .
Microwave: Muffins, buns, and pastries can be thawed/heated in the microwave on low power (up to 750W) for 1 to 3 minutes. They should be eaten immediately. Thaw in the refrigerator for around 5 to 8 hours.